When style and rugged good looks meet. This attractive 6.0 MM Polished Men's Comfort Fit Classic Wedding Band Ring will make you look sharp whether you are in the boardroom or out for a romantic dinner with your special someone. 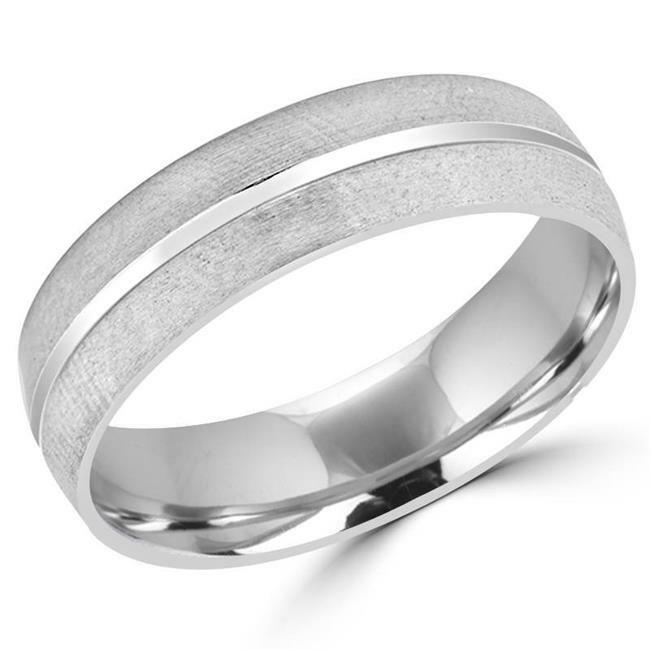 Be classically handsome in this comfortable and stylish wedding band in 14K white gold. The ring comes with a polished look and has a metal weight of 5.6 grams.